Today I'd like to share with you the card sample I made for my June In Color club members. 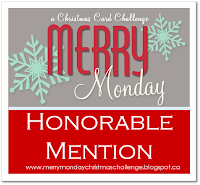 Every month when I bundle up the In Color packets, I love including a little card as my thank you to those who participated for the month. It's also a fantastic way to showcase that month's color! The color for June was Baked Brown Sugar! This is a great neutral color. I think it falls somewhere between Crumb Cake and Soft Suede. Combine all three of those colors and you have a fantastic monochrome color palette for a masculine card. Anyway, I'm getting off topic here! For this sample, I used the triple time stamping technique in a different way. I made a banner shape rather than just a rectangle. The Swallowtail stamp is such a nice image to use for this technique. I layered the image with some Very Vanilla card stock. I sponged the edges and made some custom embellishments with the new clay and molds from Stampin' Up! I made some cards with two flowers and some cards with just the one largest flower. I think both look really pretty! Stampin' Tip: If you find that your adhesive of choice is not working for the clay flowers, try just a little dab of Crystal Effects! Make sure you allow it time to dry. 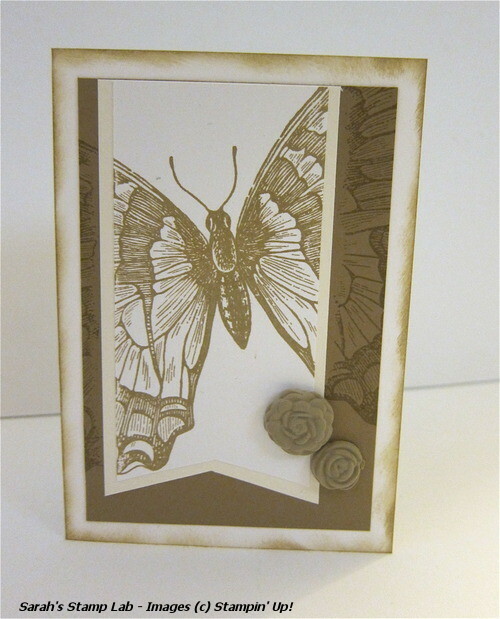 I just love that butterfly card! 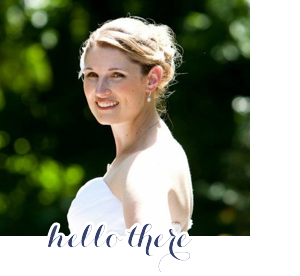 Great job and nice blog make-over. I need to do that. these colors are just gorgeous... both the card and the blog!! lol!! love the new makeover, i remember you saying you were having trouble a while back so i'm glad to see you were able to get it done the way you like!! First... I meant to say your blog looks great. Gorgeous colours, clean design. I love the card! What a neat choice for the colour. 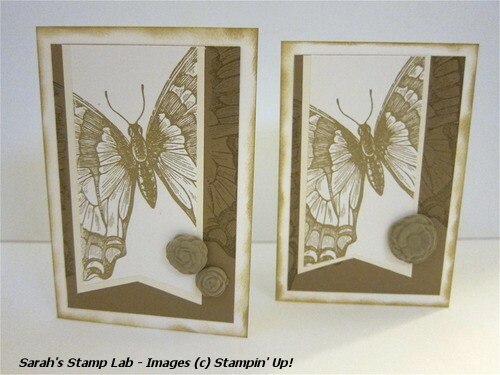 I never would have thought to do that with the Swallowtail stamp.